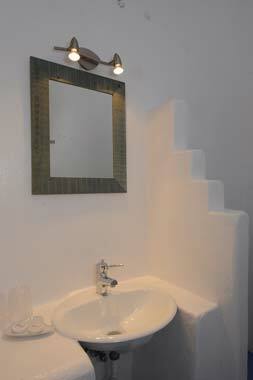 Villa Sophie is built on a high spot of Naoussa village, Paros Greek Islands, about 5min. 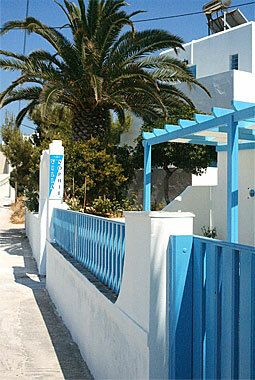 on foot from the center and very close to the sandy beach of Agii Anargiri. 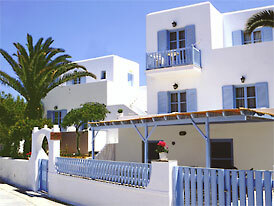 Villa Sophie is located very close to the center of Naoussa and one of its beaches. You may easily reach plenty of other nice beaches by car or public transport. Very close to Villa Sophie there is a bakery, a mini-market and other shops. Naoussa itself is is one of the most beautiful fishing ports of the Cyclades: narrow streets, some busy spots and traditional images..all blend up in a marvellous "postcard," authentic and simple. 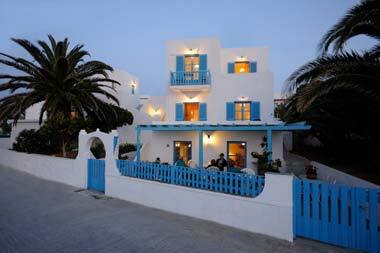 From the main port of Paros, you can easily organise day cruises to other island of the Cyclades. 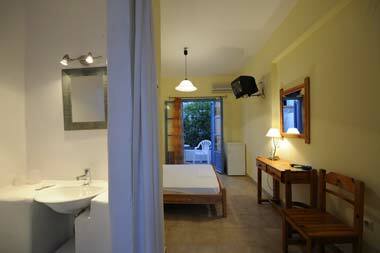 Villa Sophie offers 11 rooms all equipped with air conditioning, bathroom, balcony or terrace, fridge, hairdryer and television. 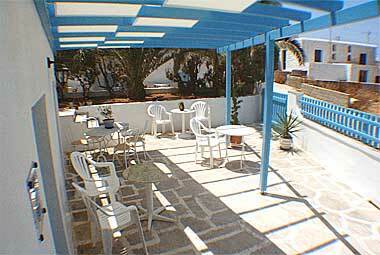 In this small hotel there is also a traditional terrace where breakfast is served. In Naoussa you may stroll in the narrow streets with white-washed houses, restaurants and pubs or enjoy the sun at the small port where fishermen prepare their nets under the soft and hot light... 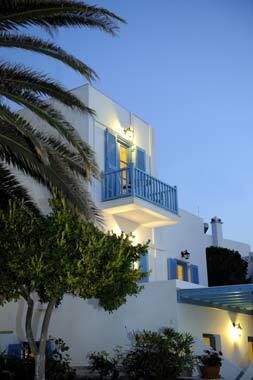 Enjoy your holidays at Villa Sophie in Paros, Cyclades Islands.